24hourlondon - Why are London's licensing laws so restrictive? Why are London's licensing laws so restrictive? 24hourlondon is a solution to a problem: how to get the best from a city where the licensing laws often seem stacked against you. You can download the app in Android or iOS from here. But why is London like this? What got us to this point? James Nicholls' book, The politics of alcohol: a history of the drink question in England, suggests that the recent move to allow pubs to stay open later is a break with the deep past and that restricting pub opening hours has traditionally been seen by the government here as a way of restricting the alcohol intake of working people – to make us more productive capitalist worker bees. As evidence for this theory, Nicholls points to what happened during the first world war, when the temperance - anti-booze - movement was big internationally. In the US it led to an unsuccessful attempt at complete Prohibition but in the UK its high water mark was the creation of the Central Control Board (CCB) in 1915, whose job it was to address the effect of drinking on the war effort. An editorial in The Times newspaper suggested he was getting the whole thing “a little out of perspective”. However, for context, Britain’s two key allies, France and Russia, had both introduced radical temperance legislation in response to the war themselves: Russia had banned vodka and France had banned Absinthe. Lloyd George's CCB created 840 industrial canteens to replace the pubs where workers had previously had a “liquid lunch” (since it was unusual for food to be served in them at the time). So, as an aside, the work canteen was invented in an attempt to prevent lunchtime drinking. By 1916 this legislation was effective across most of the country. The CCB nationalised large areas of the pub industry – pubs, breweries and off-licences – and promoted the sale of soft drinks and food. 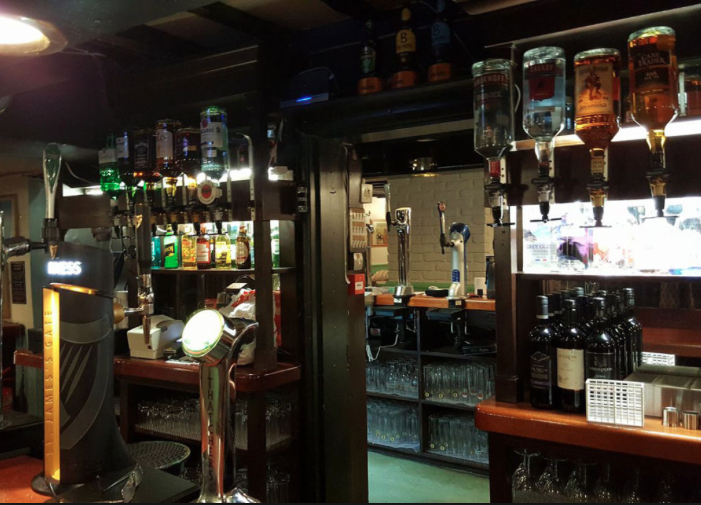 A licensee’s income came to depend on their ability to promote good order in their venues. What this meant was that by the time the war was over the breweries, which also owned many of the pubs, had got used to the idea that they could and would be heavily regulated if they didn't comply with the government's moral outlook on alcohol, about which the church had also always had a lot to say. Politically the drink question had become what the balance should be between the state's need for productive workers and the success of the booze industry. So it's interesting that William Waters Butler - who was chairman of the gigantic brewing company Mitchell and Butler – and Sidney Neville, managing director of Whitbread (both of which are still brewing today), sat on the CCB. “Whereas brewing was often depicted in America as an alien presence whose expulsion would return the nation to its purer condition, no such nativist propaganda was going to fly in England, where beer and the pub were so deeply embedded in cultural life and history,” writes Nicholls. Since then "the demon drink" has come to be seen as less of a cause of poverty - which laid all of the responsibility for the poor's situation in life at their own feet, conveniently omitting the role of lack of social mobility and the eagerness of the brewing magnates to sell their product - and has become seen as more of an individual and health issue, with a distinction between social drinkers and problem drinkers becoming dominant. In 1989 a report by the monopolies and mergers commission began a process that broke the link between beer production and its consumption by preventing the breweries from owning most of the pubs, as had been the case before then, and leading to the opening of giant pub companies including Slug and Lettuce and Pitcher and Piano. Out-of-town shopping malls and the recession of the late eighties and early nineties meant that many city centres began to empty. The resulting regeneration efforts led to the adoption of European-style café society with the emphasis on mixed use areas: living and shopping and playing. Drink retail chains marketed themselves as an urbane alternative to the old-style pub, part of a vibrant urban culture in 24-hour cities. Nicholls points out that at the time alcohol companies were marketing drunkenness to young people as an alternative to the ecstasy and rave culture of the late 80s and early 90s. Joining the EU and affordable holidays abroad meant that people of all ages were increasingly unhappy with being told to trundle home at 11pm, after experiencing the strange thrill of being able to enjoy a drink after midnight without being harassed by tired and irritable landlords. Then shortly before the 2001 election the Labour party sent a text message to thousands of young people saying “couldn’t give a xxxx 4 last orders? Thn vote Lbr on thrsday 4 xtra time”. 24-hour licensing received royal assent in 2003 and became fully operational in Nov 2005. Alcohol consumption went up, the term “binge drinking” entered the public lexicon and the big question became: do the rights of moderate drinkers outweigh the government’s duty to prevent the harm promoted by excessive consumption? Concerns about underage drinking began to revolve around the availability of alcohol sold irresponsibly. Supermarkets had become the place where 65% of the nation’s alcohol was purchased. Summing up, Nicholls says that public debates on alcohol run up against the deeply held beliefs that a degree of rational sobriety is essential for social order and the equally deeply held belief that one has the right to explore one’s inner world through – among other things – intoxication. Fascinatingly, he then adds that “anyone wanting to understand the phenomenon of celebrity rehab would do well to think about the cultural status of intoxication in those terms”. So he believes that we are addicted to the idea of celebrity rehab because the plight of the celebrity addict reflects an extremely common tug-of-war in all of us: our rational side versus our emotional side. * My next blog post will be about whether the UK has had more of a drink "problem" than elsewhere. You can read the previous post, about 24hourlondon being back after five years here.